Saint Gobain India Pvt Ltd – Gyproc, a leading player in the habitat and construction market, has announced the grant of license to use the ISI mark for its Gypsum plasterboards from the Bureau of Indian Standards (BIS) for its Wada plant, Palghar district, Maharashtra. BIS is the highest body in India for standardization, marking and quality certification of goods through consultation by Government and regulatory bodies, scientists and consumers. The license, according to the company, has been awarded for its robust quality, safety and assurance standards for its Gypsum plasterboards. ISI marked boards are the most preferred choice for all sectors and are becoming increasingly prevalent in the growing urban clusters across the country. The company claims that this is the first time that a manufacturer in India has received the sought-after ISI mark for its gypsum plasterboards. The certification is valid via IS No: IS 2095: Part 1: 2011 for gypsum plasterboard manufacturing of various thickness boards. “We have always believed that Gyproc India has the potential to play a noteworthy role in shaping the future of the Indian construction landscape. 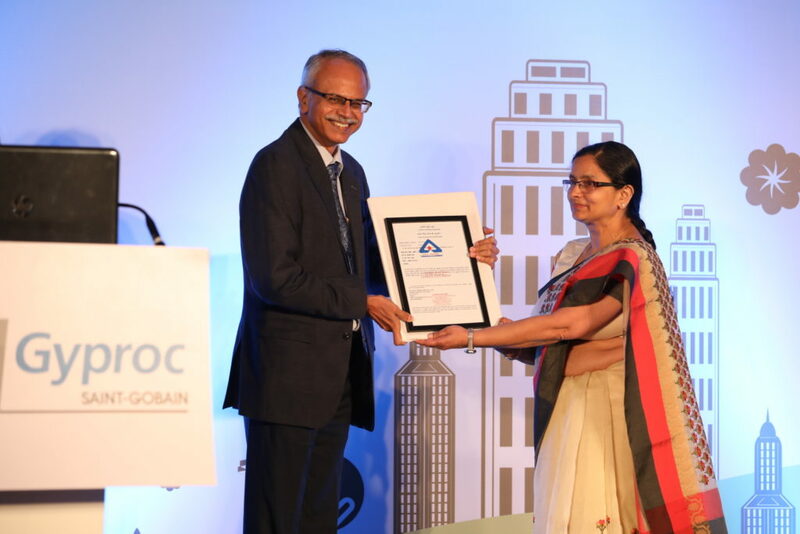 This certification is a significant milestone for us to continue our commitment to the highest quality standards whilst becoming the reference for sustainable habitat in India,” said Venkat Subramanian – regional CEO – Construction Products India, & MD – Gyproc India. He added that Gyproc India’s aim is to further strengthen its India footprint by spearheading innovative and technology-driven solutions with high-performance and superior prodcts. The company has three manufacturing plants in India strategically located in North, West and South India that delivers superior products to provide solutions for ceilings, drywall partitions and plastering. “Our aim is to develop the gypsum industry across the country through distributed manufacturing, skill development and market development initiatives,” shared Subramanian.